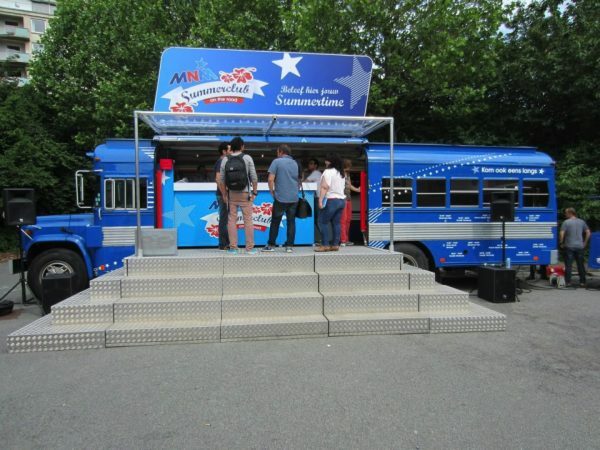 Whatever the weather, MNM is sending out sunny vibes all summer long with its “Summerclub On The Road” tour. 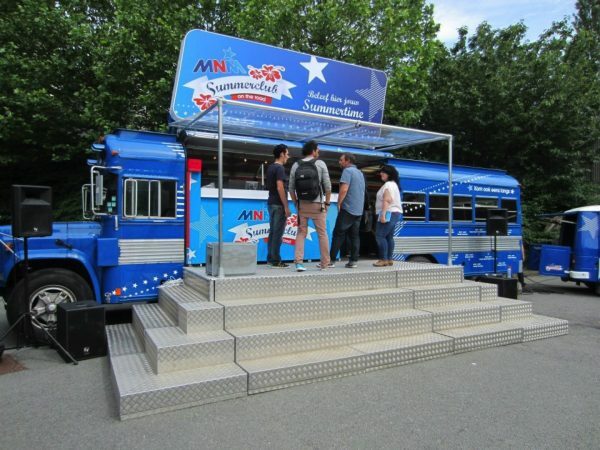 One of the main attractions is a huge American Chevrolet school bus belonging to Fast Forward which has been turned into a radio studio for the occasion and decked out in the bright blue house style of the popular radio broadcaster. Inside there is an austere lounge where radio guests are welcomed and outside a stage can be set up for live performances. 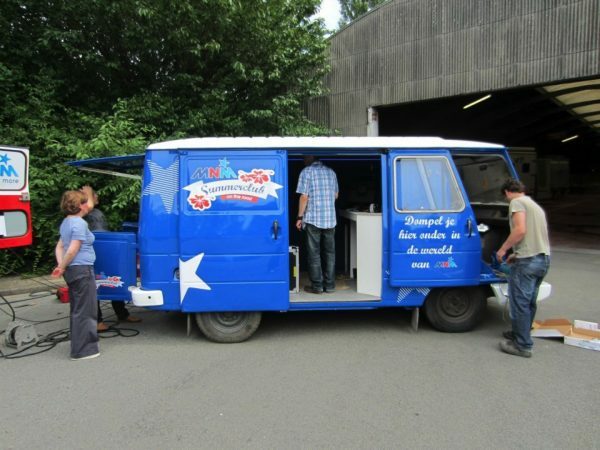 The whole thing is rounded off by a vintage caravan and a van containing a DIY radio studio where listeners can announce their favourite track themselves. 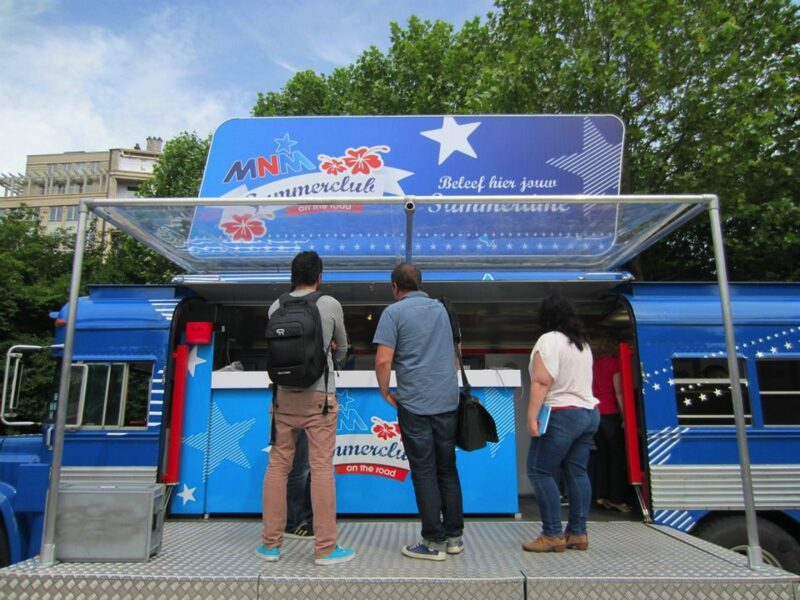 Fast Forward was hired to ensure the logistic success of this summer radio circus, to be seen at various locations in Flanders until 15 August.